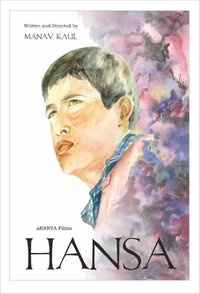 Review Summary: Hansa and his elder sister Chiku wander around their picturesque village in Himachal as they look for their missing father while soaking in the beauty of their hill station and hiding toffees in the backyard. Hansa and his elder sister Chiku wander around their picturesque village in Himachal as they look for their missing father while soaking in the beauty of their hill station and hiding toffees in the backyard. The cast, made up largely of Kaul's regular collaborators from the Mumbai theatre scene, does a noteworthy job. Mishra plays a sleazy moneylender but Adhikari steals the show with her act as a rebellious, responsible and vulnerable teenager.